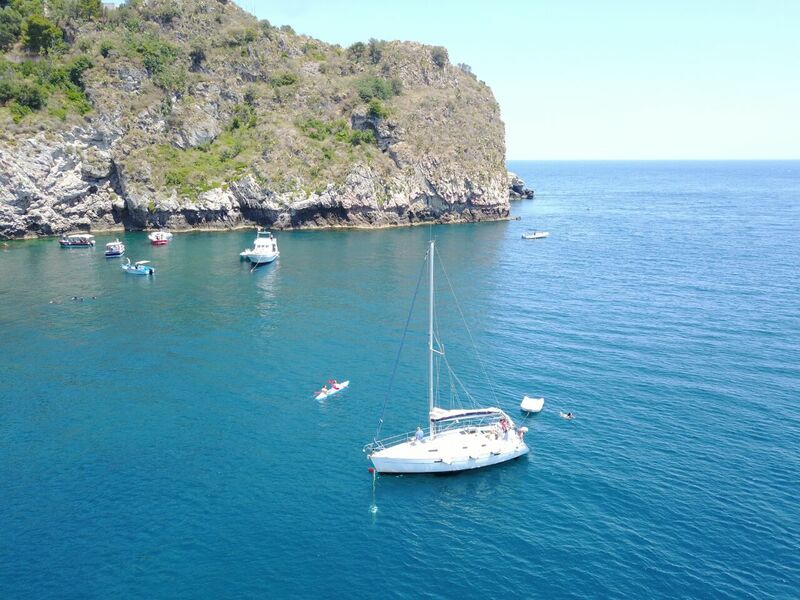 Half-day tour by sailing to discover the Bay of Spisone, the Bay of Mazzarò and the beautiful Isola Bella with its hidden jewel: the “Grotta Azzurra”. 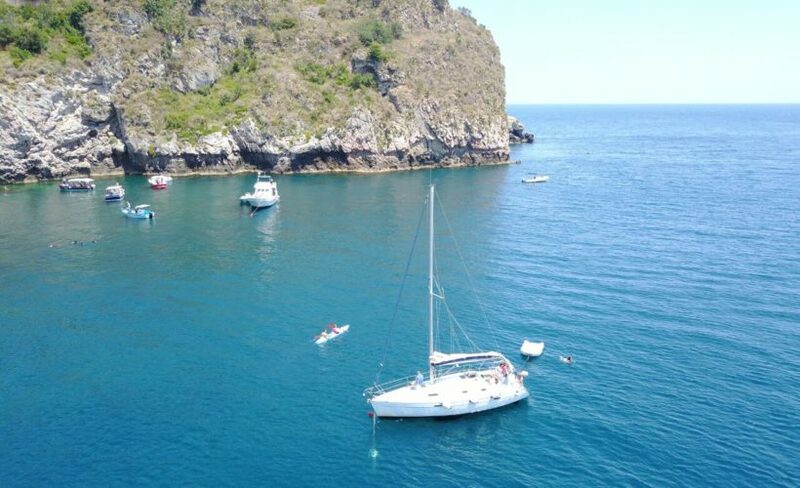 While sailing, you will learn the basics of sailing and some legends and stories about our beloved land. 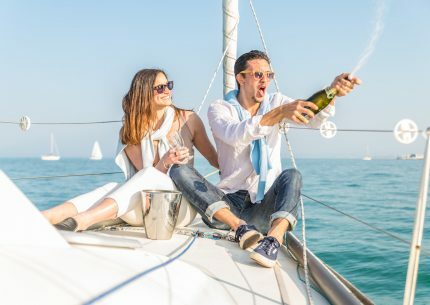 During the day you will also have the opportunity to snorkel alone and enjoy a rich aperitif accompanied by a glass of wine included in the price. 3:00p.m. / 7:00 p.m. (half day during the afternoon). For group with more then 9 people, please let us know in the booking request. Then, to guarantee your reservation, we will ask you for credit card details to guarantee your reservation. 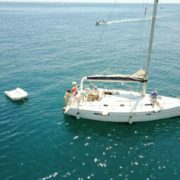 You will not be charged any amount except in case of late cancellation or in case of no show; you will pay in cash directly to the skipper. 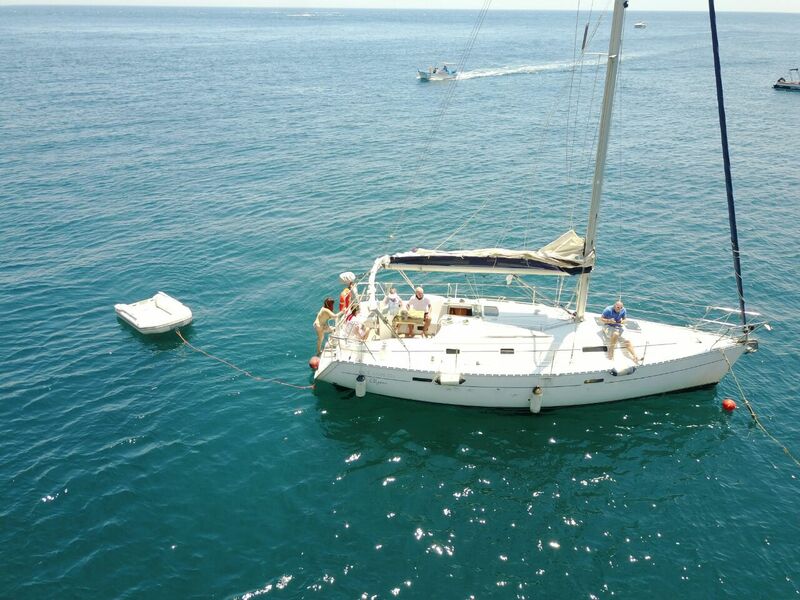 In case of adverse weather and sea conditions the skipper can decide to cancel the tour. In this case no penalty will be due. 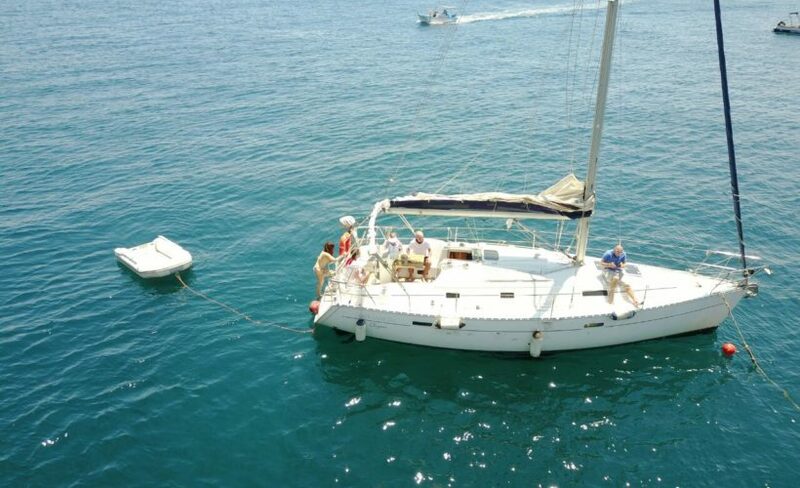 Once you meet the skipper, you will board the boat that will be moored at the pier of the Port of Giardini Naxos. 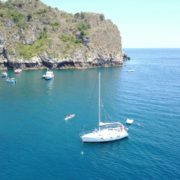 It will then begin your experience full of enchanting places and short routes where you will learn the basic principles of sailing. 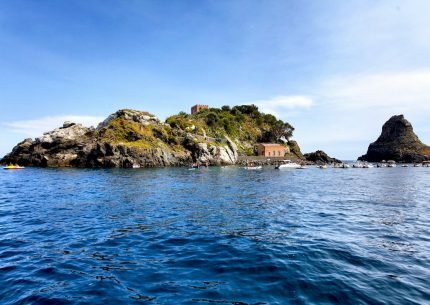 Swimming and Snorkeling in the "Baia di Spisone"
At “Baia di Spisone” you can take your first bath of the day and practice snorkeling independently (without a guide). We will provide you with masks and fins. You will admire the suggestive stone islets that emerge from the waters and the Atlantis Bay hotel that takes up the architecture of Gaudi. 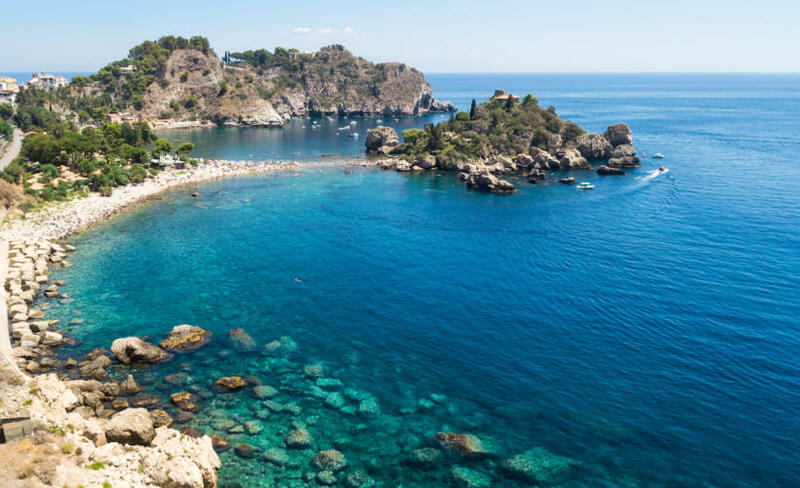 You will sail inside Mazzarò Bay, famous for being considered one of the little jewels of the Sicilian and Taormina coasts, which is set between two rocky spurs covered with Mediterranean vegetation. 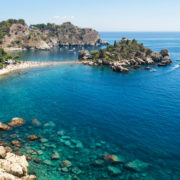 Isola Bella, historical pearl of taormina connected by a natural strip of sand to the mainland, where over the centuries have alternated illustrious owners who have made it their precious home. 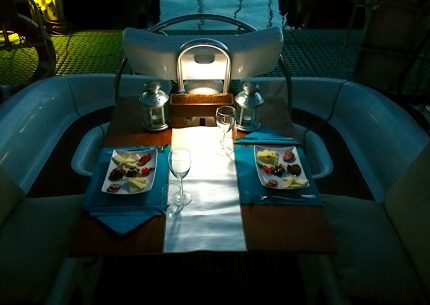 During this stop you will have the opportunity to observe closely (sometimes under the skipper's decision even to enter with a tender) the Blue Grotto with its heavenly reflections of light. You will stop at anchor with the breathtaking view of Taormina that will be the backdrop to your tasty moment of refreshment. We will serve you a chopping board full of local cold cuts and cheeses, as well as oil products and seasonal fruit. Everything will be accompanied by water and a good local white wine. In this case you will be able to take the last bath of your memorable experience.